St Lucifer formed in October 2015 – Within a month they’d played their first gig – Two months later they’d supported punk-legends Subway Sect, taken over Valentine Records, released a sold out 7″ single ('Van Der Lubbe Was Innocent/Do As Little As Possible') and blown up a record store, all in time for Christmas. 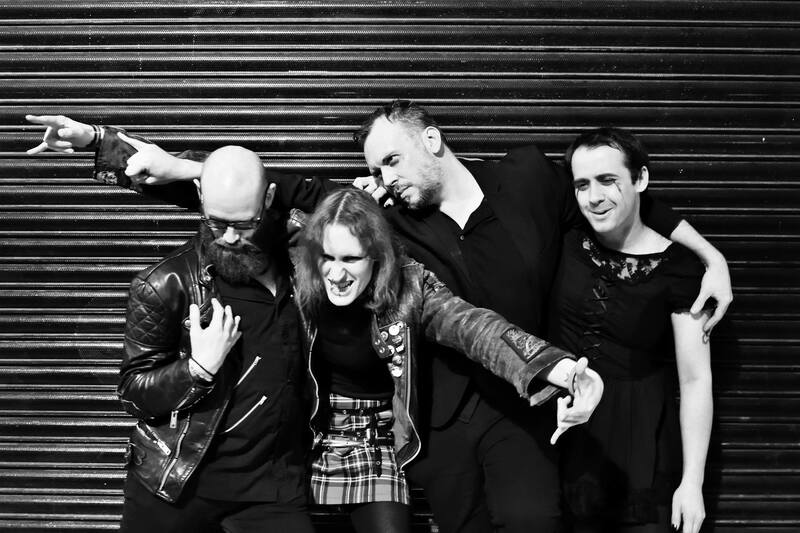 Many more anarchic gigs have followed during 2016, with a ‘pause for thought’ over the summer to focus on the recording of their debut album. A second 7” single 'Trashorama' (with its anarchic video from Elysium Enterprizes’ Morganna Bramah) and a cassette only version of 'Beowulf' followed before a third ‘proper’ single 'Junk Days' – designed to trail the LP proper in December. With tours, festival appearances and plans already being set in motion for ‘post album recording’, you have to wonder exactly how far these four tall(ish), dark(ish), handsome (most certainly) ‘young men’ will take things.